My hubby is from Texas and we get to visit at least once, if not more, each year. 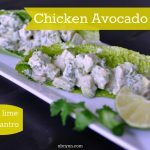 It’s always fun to see the recipes that his family and friends use because they are usually things we don’t typically make in our house. A few years ago my husband’s cousin’s wife made us Chicken Spaghetti. When she told us what she was making I was thinking the traditional spaghetti, except for chicken in it. 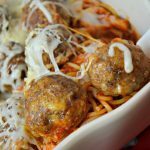 My husband was going NUTS because he LOVES chicken spaghetti he said and I couldn’t understand why it was that much different than spaghetti with beef. 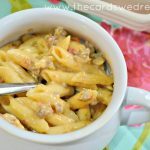 When we arrived for dinner, I was pleasantly surprised with the REAL Chicken Spaghetti recipe…and it’s quickly become a staple in our home when we want something really savory and creamy. 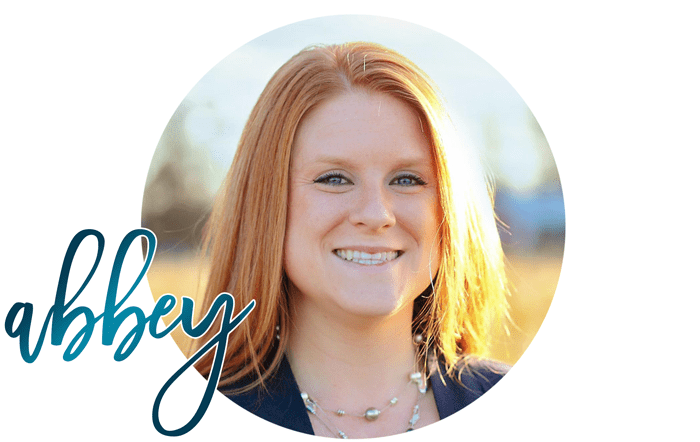 Word to the wise, this recipe isn’t for the dieters out there…but it sure is good. 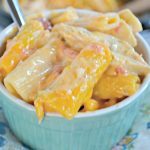 We use Velveeta cheese quite regularly to make Rotel dip, which is another Texas favorite, but we’ve found so many other uses for Velveeta cheese, including with this recipe.The full ingredient list and recipe are at the bottom of the post…. After you have cooked your chicken and started your spaghetti, start chopping up half of your Velveeta block into chunks. Add the cheese and soup to a pot and cook slowly on low heat until melted. Once the cheese and soup are melted together, add in the Rotel and stir well. After the Rotel is added, then add your chopped and cooked chicken. 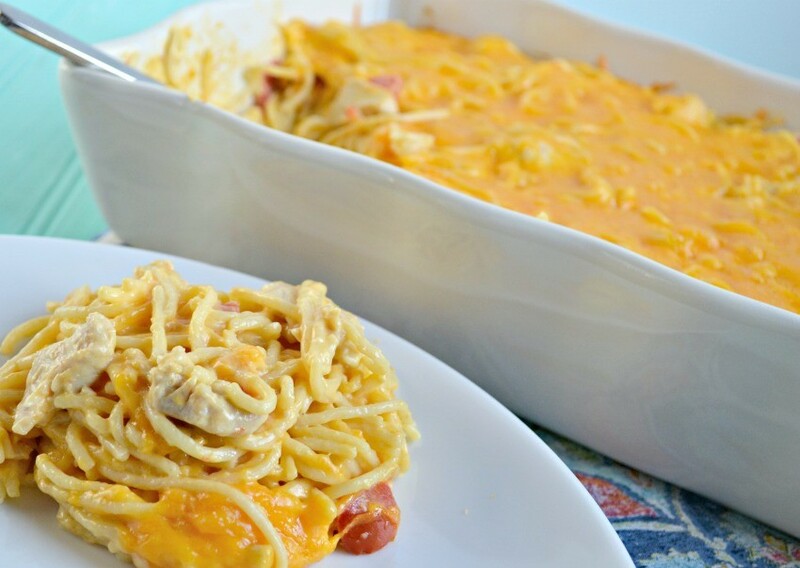 In a large bowl or pot, mix together cheese mixture with cooked spaghetti and add to a pan to bake. 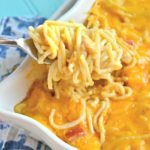 Top the spaghetti with sharp cheddar cheese and bake at 400 degrees for 10-15 minutes to make the mixture a little less runny and melt the cheese on top. Then enjoy your meal. 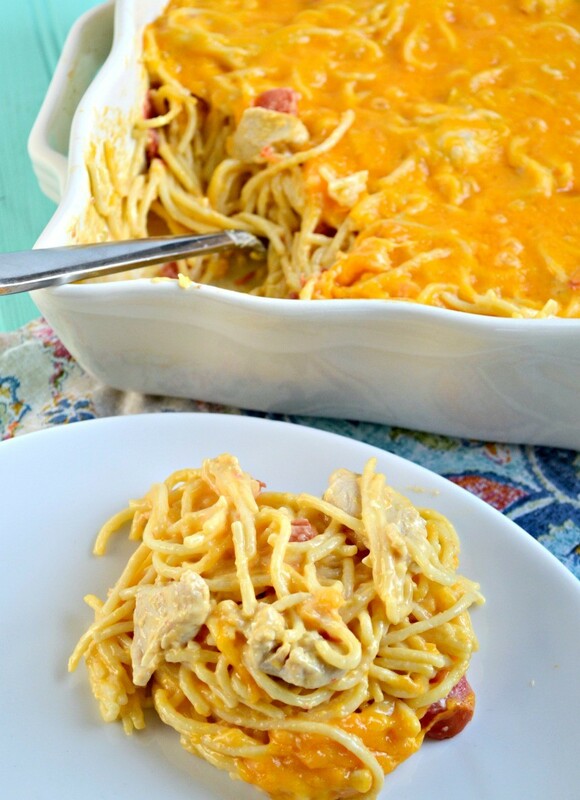 My husband came home ELATED that I had made Chicken Spaghetti for dinner and for this post. The nice thing is that there’s plenty for lunches and dinner tomorrow too…it makes a LOT. So enjoy! Start by cutting and cooking your chicken. Set aside. Start your spaghetti and cook. Chop up one pound of Velveeta and melt with cream of chicken soup. Add Rotel to the melted mixture and then add chicken. 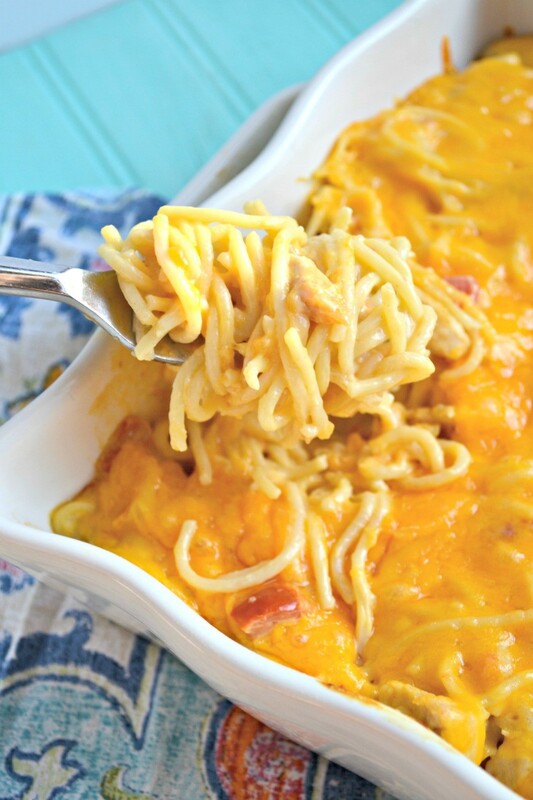 In a big bowl or pot, add cheese mixture to cooked noodles and mix well. 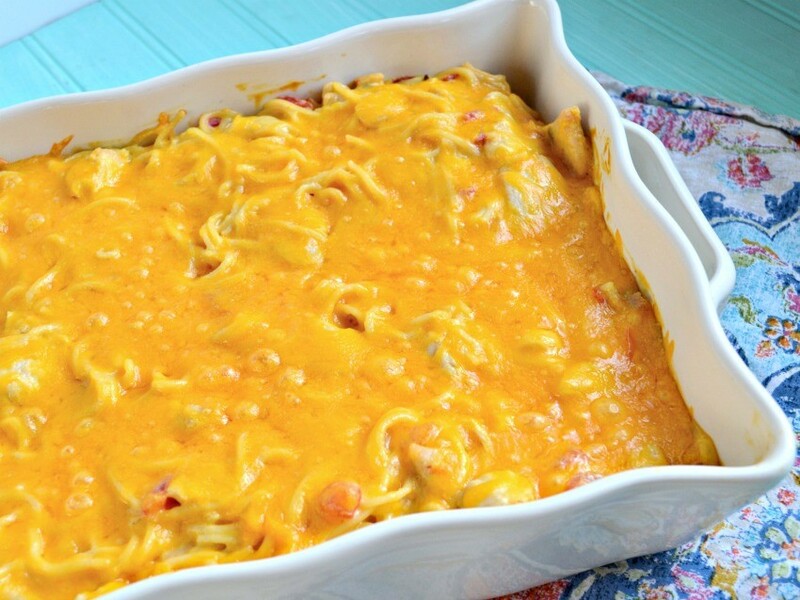 Pour whole mixture into a 9 x 13 pan and top with shredded cheese. Bake at 400 degrees about 15 minutes. It looks tasty will be pinning this looks like an easy dinner.